This New Image Drainable ultra clear pouch allows for confidence and security with a unique feature called CenterPointLock. This feature prevents any unintentional pouch and skin separation. This model features multi layers of odor barrier film so that confidence and discreetness are maintained at all times. The pouch is anatomically shaped for your convenience and comfort. Belt Tabs or plastic ears; permit easy attachment of a belt to the pouch for additional security. 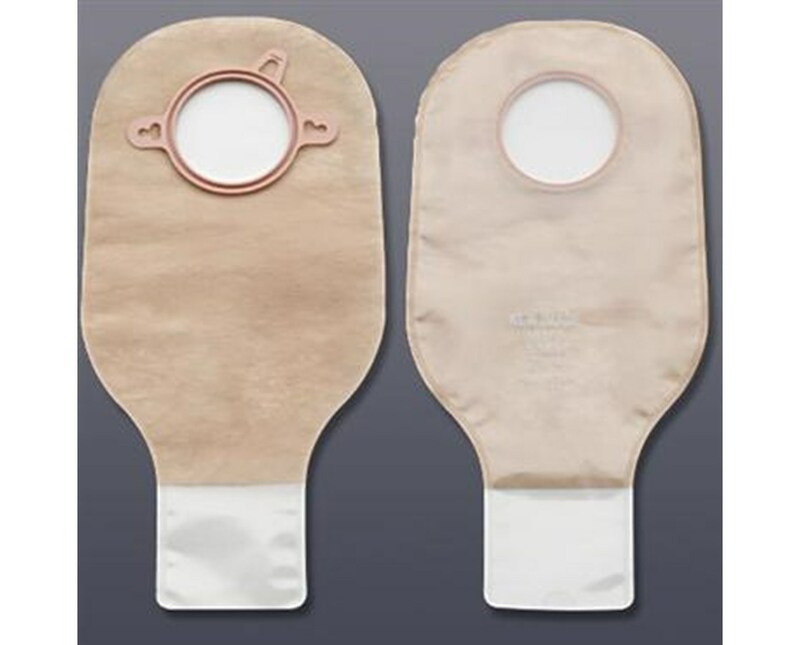 The pouch also comes with a comfort wear panel, which is a nonwoven plastic material that separates the pouch film from the skin. This pouch is ultra clear for easy visualization of the contents. 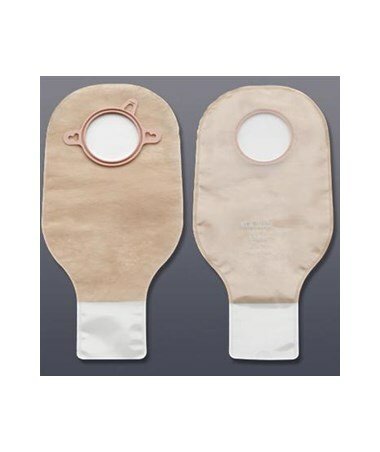 The New Image drainable pouch comes in four flange sizes,1 3/4", 2 1/4", 2 3/4", 4". Select your size from the drop down above. Use a Stoma Measuring Card to measure your stoma size accurately. Belt Tabs or plastic ears are integral to either a two-piece or one-piece pouch, permits easy attachment of a belt to the pouch for additional security.